Hi Brad. What the HELL are they talking about?? i really dont trust them, coming out just in time when your game is out in beta, and they got nothing to show - where were they last 20 years? Honestly reading what they wrote, it sounds very personal to them and their reaction appears emotional vs grounded in facts. Now, maybe they are correct in all their assertions, but I imagine as part of the sale of IP to Stardock, Stardock's lawyers and Brad probably went over all the details of what they were getting and that's codified in legal documents somewhere. Whether Paul and Fred are aware of what's in those documents isn't clear, but it sounds like they are finally figuring out (bitterly) what was actually sold to Stardock and what they did and didn't maintain the rights to when they signed their agreement with Accolade. Based on the many years of me buying Stardock products and Brad's interactions with the community, I'm inclined to believe he's an honest and forthright guy and therefore isn't lying in any of the statements he's made. I say this after looking at my Elemental CE box in the corner and how he made good on a promise to fix things. I think the realities of business are just making Paul and Fred upset and the result is that emotional post they put up on their site. I think once all is said and done, they will get what they want and be able to pursue their sequel. All I know is what has been stated publicly, of course, and I am not some fanatical Stardock "fanboy". I like Brad's games, and Paul & Fred's games equally... and there are very few computer game designers that I actually admire. I almost couldn't believe that Stardock would simply not use the original aliens just out of an understanding and respect for someone else's "ownership" of a universe they created regardless of what the contracts actually say. I can't imagine that Stardock would have bought these rights if they did not give them the right to make Star Control games, obviously. Most business people would simply say "I bought it, I own it now, I can do what I want with it." So, although I only know bits and pieces of this story that have been made public... I am as confused as Brad seems too be. I would think that Paul & Fred would love Stardock for their stance on this. I can't imagine what they are thinking. From what I see, which admittedly isn't much, Stardock is being AMAZING in their respect for Paul & Fred's work and in leaving them with their own universe they created even though they don't have too. This really is very confusing too me. I think they're pissed when SC1 and SC2 and SC3 began appearing on Steam's store as of late, especially at the height of the SC:O beta cycle. 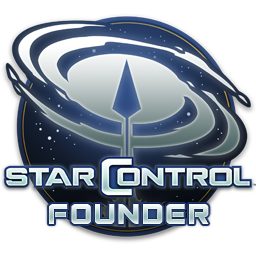 What exactly is in that contract when Stardock acquired the Star Control trademark, etc? Seems like you guys need to have a long talk about this. It's a shame they felt they needed to have their contentions aired out it public. If this doesn't get solved quick, it's the fans that are going to suffer. The old games have been available for purchase on GOG since 2011 and Paul & Fred receive a royalty for them. All I want to say is, Stardock, if you're in a position to help keep Ghosts safe, please do so. If you're in a position to damage Ghosts, please don't do so. Other than having been nothing but supportive, we're not involved in it. But we also don't appreciate the implication in their post that somehow we are keeping them from making their game. Heck, we'd even let them use our engine if that helped. What I am comfortable publicly saying is that given their post, there is more reason than ever to get them to sign some sort of document that acknowledges that we are not preventing them from making their game. Given their actions, we're not going to allow ourselves to be set up as the latest reason they use not to make their Ur-Quan follow-up. Public perception is almost everything these days. Without getting political... it really could have a detrimental effect on your reputation if you allow such a perception to solidify. Exactly. We aren't the ones keeping them from making their game. We want them to go make their game. Did the two previous developers not want to be part of the Stardock team when you guys bought the name ? Would be more of a Starflight guy now..... (hey Brad that series available)? I think EA owns Starflight. The reason Stardock acquired the rights to Star Control (and people should really avoid perpetuating the myth that it’s just the name — by that argument Coca Cola is “just a name”. See https://www.upcounsel.com/purpose-of-trademark) was it merged multiple genes together perfectly. Star Control could be described as a genre unto itself. Exactly. People need to understand what is going on. Fred and Paul made a bad move many years ago and it is still haunting them to this day. They are pretty cool dudes too, I've spoken with them in the past. They were always supportive of fans keeping their work alive, such as the Urquan Masters project, the Star Control website that has been up for YEARS before Stardock got involved, and my support with my mods for Sins. I asked them specifically and they said it was ok to use the aliens, so long as I didn't try ti market it as something that was my own. I have always gave them credit and praise, and so has Stardock. I mean, you guys are some of the biggest Star Control fans I know, other than me lol!